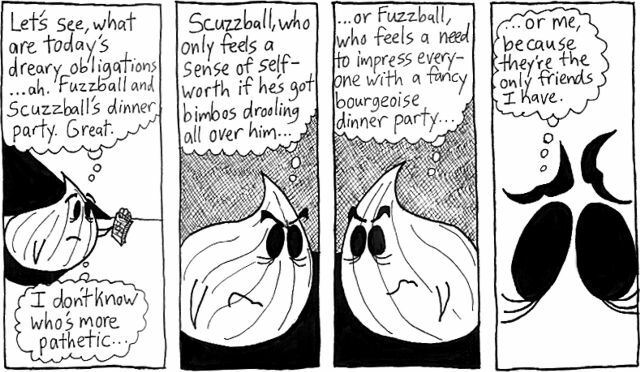 Look, it's Fuzzball and Scuzzball's constantly depressed pal Weirdo-Freak. Next episode, the dinner party begins! Who will be the first guest to arrive? Find out on Friday. I'd have to say him. Scuzzball and Fuzzball have no shame.